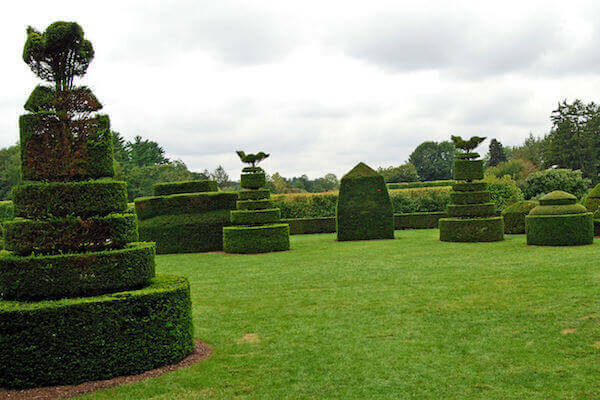 Tree Shaping has been performed for hundred of years and can be seen all over the world including the Middle East, Europe and India. 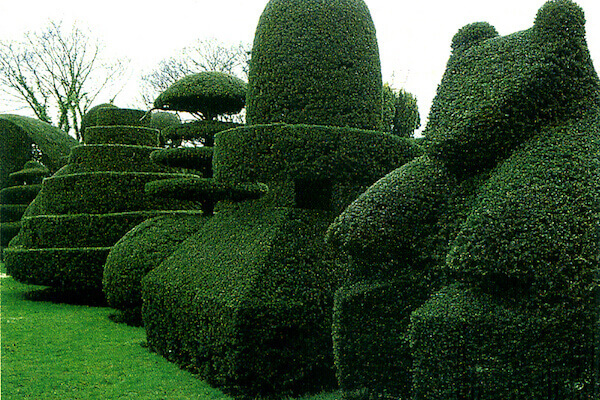 Trees can be pruned into many beautiful shapes. 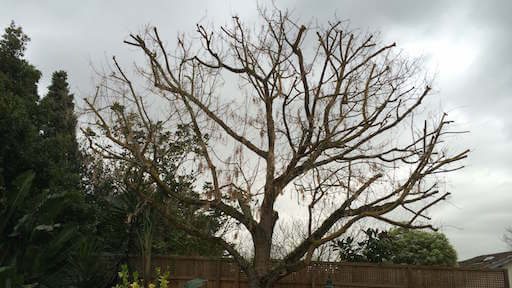 We have a vast experience in Tree Shaping throughout Melbourne and can tackle all sizes required. 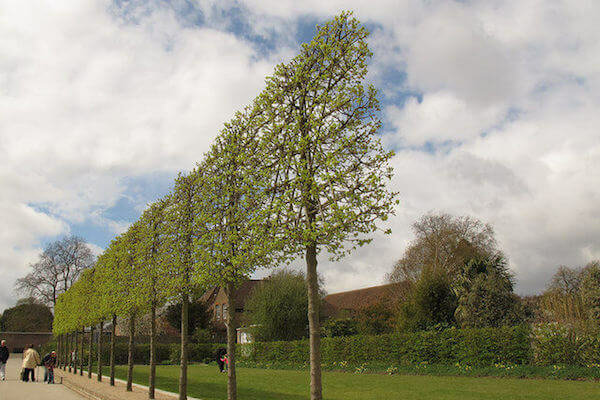 Tree Shaping is an art form – if you want to transfer your garden into a work of art then call us today for a No Obligation Free Quote. 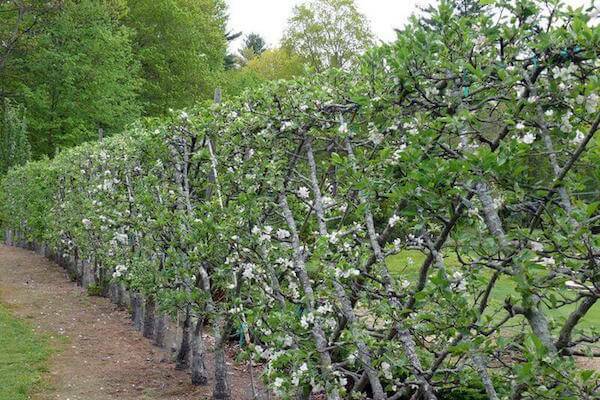 This method is performed by training the species by pruning or clipping the smaller branches away. 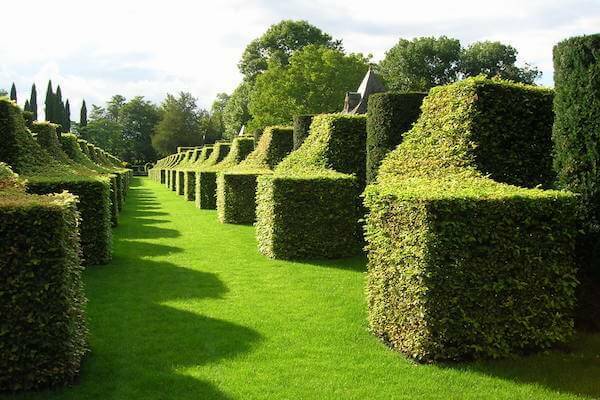 This develops clearly defined shapes and are maintained to stay this way. 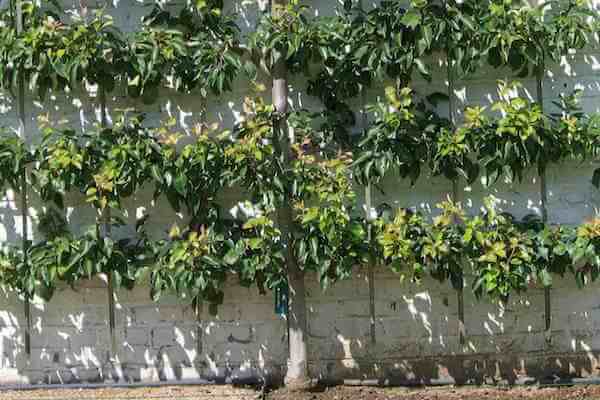 Espalier requires the plant or tree to be tied to a frame that is generally designed up against a wall. 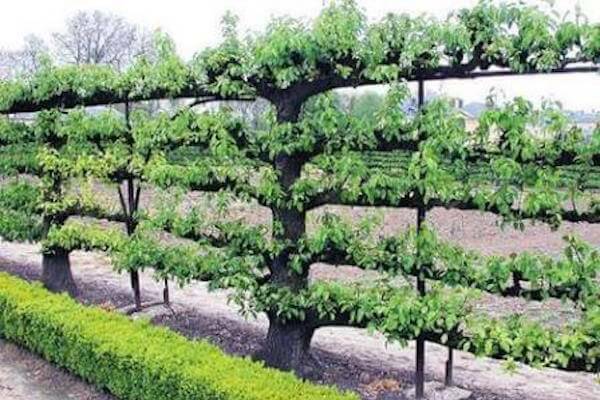 The plant or tree is grown around the frame to produce a shape or design. 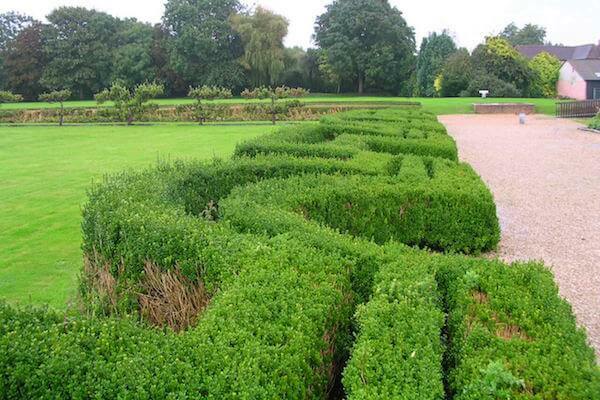 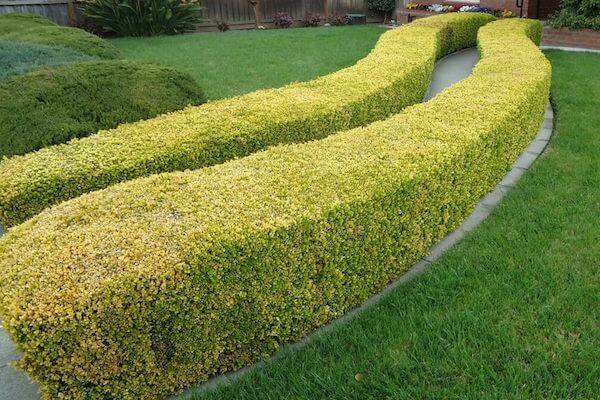 Hedges consist of closely spaced shrubs or trees that are planted, grown & trained to often distinguish a boundary line. 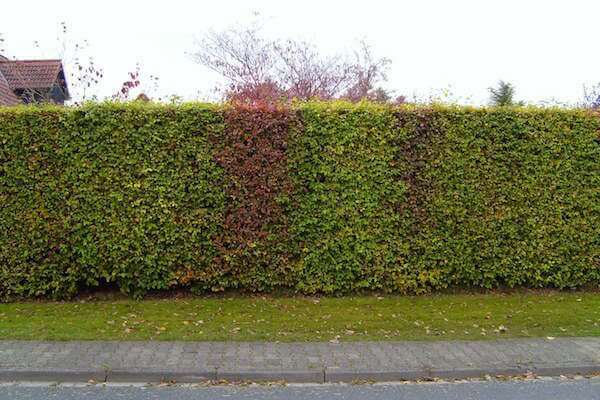 Uses: Residential, Farming and Commercial. 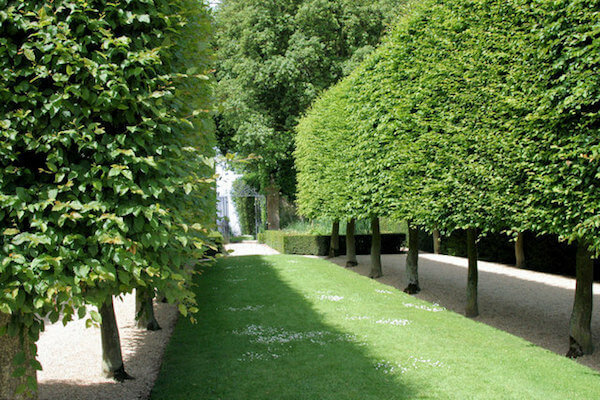 Pleaching was common until the early eighteenth century to create shaded pathways or living fences. 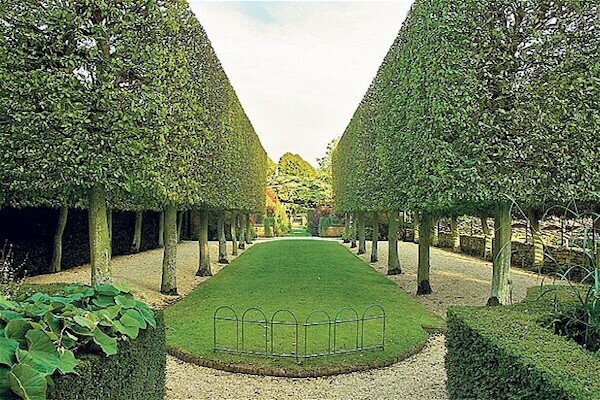 Planted in lines, tree branches are woven to strengthen the overall structure.